Bonnie stool, in various colours, shown with Clyde table. 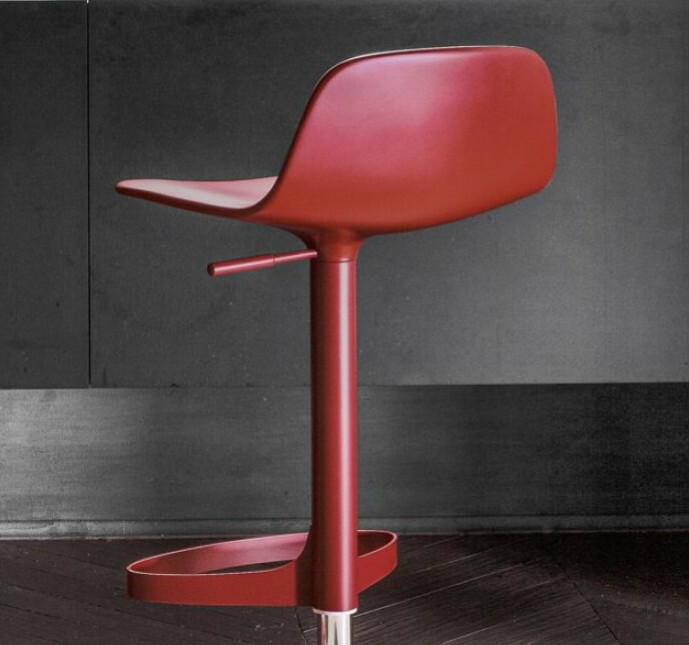 This adjustable swivel stool with a supportive back is ideal for use in kitchens, in a variety of colours with a footrest. The base is painted steel, to match the seat. Dimensions: 41cm dia, 53/73cm seat height, 70/90cm top of back height. Also available in fixed seat heights of 63 or 73cm.